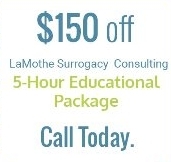 LaMothe Surrogacy Consulting is dedicated to giving Intended Parents and Surrogates the education and tools needed to make knowledgeable and fact based decisions regarding their Third Party Family Building Options. The old adage 'you don't know what you don't know' is very true in the case of surrogacy arrangements. Deciphering all of the overwhelming information, surrogacy programs, laws, and relationship concerns are what you can expect from LaMothe Surrogacy Consulting. Let us take the stress of figuring out how this 'whole thing works' by contacting LaMothe Surrogacy Consulting today. Have you read about our 5-Hour Educational Program? Please learn all about it on our Package Pricing page and then take advantage of our $150.00 off SPECIAL! The key to many Intended Parents success in utilizing surrogacy as a family planning option is our Private In (your) Home Surrogacy Consulting (some locations will require an additional travel fee). This comprehensive program is for those who desire to have the Surrogacy Process explained in the comfort and privacy of their own home. This program includes up to five hours of in-person consultation for up to 4 people and the materials to help with the decision to move forward with a Third Party Family Building Plan. If you are an International Intended Parent, LaMothe Surrogacy Consulting is equipped to educate you regarding Surrogacy in the United States. Materials are sent directly to your home and then times are arranged for your own private phone consultation. We also utilize Zoom if that is your wish. This is a Five hour educational package with materials and can be separated into 2 consultations. Contact us for details. LaMothe Surrogacy Consulting is NOT a matching service. We do not match Intended Parents, Recipient Couples or Singles with Traditional Surrogates, Gestational Carriers or Egg and Sperm Donors. Instead, we prepare Couples and Singles, based on individual needs, to find their way through the maze of Third Party Family Building Options. We work to provide information and education on how the surrogacy process works, who are the professionals that Intended Parents will meet and hire and the questions that they need to ask during each step of the surrogacy journey. 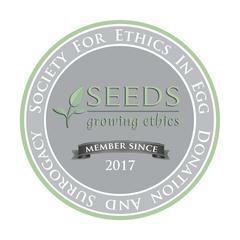 *We also provide egg, embryo and sperm donation information and education when requested.